After your training workshop, you must register and pay the Board Certification fee to be licensed to teach Tai Chi for Health programs. The licence will also entitle you to use Dr. Lam and the Tai Chi for Health Institute’s name for teaching the programs. Other benefits include discount on instructional material, use of logo, business card, brochure and banner. See Q and A below. Please note the training is valid for two years, Board Certification is valid only for one year. Q What is the Tai Chi for Health Institute (TCHI)? Q What is a TCHI Board certified instructor? Q How can I become one? Q Why become a Tai Chi for Health Board certified instructor? Q What Are the Benefits of Board Certification? Q Is there a fee to register? Q I am an instructor currently listed on the Institute’s website. What happens to my profile and benefits? Q I am an instructor, do I need to be updated? and why? Q I am an instructor for several programs, do I pay a fee for each program? Q How do I pay my fee? Q What currency are the fees paid in? Q What is a Premier Board certified instructor? Q How can I become a Premier instructor? Q I am a Premier instructor now, what will happen? Q Would I still be awarded the embossed certificate at completion of the training or update workshop conducted by authorized MTs? Q Would I be able to teach the Tai Chi for Health program without being TCHI Board Certified? Q When does this happen? Q How does this affect CEUs? Q What is the difference between TCHI and TCP (Tai Chi Productions)? A: The Tai Chi for Health Institute was founded in 2010 by Dr Lam and his Tai Chi for Health colleagues with the purpose of empowering people to improve health and wellness through the Tai Chi for Health programs. It sets and control the quality and standards of the training and to provide support for instructors. TCHI is a non-profit educational organisation registered in Australia and governed by a democratically elected and unpaid board who volunteer their skill and time. 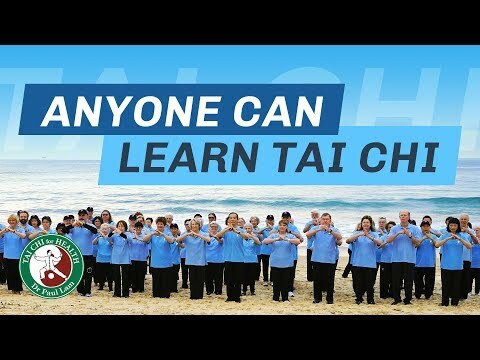 It is a different entity from Tai Chi Productions, which was created by Dr Lam to produce useful learning materials for the Tai Chi for Health programs. A: A Board certified instructor is a person who has fulfilled the requirements, completed the training of a Tai Chi for Health program, adheres to the TCHI Code of Ethics and paid a fee to register with the Tai Chi for Health Institute Board. Only board certified instructors are licensed to teach Tai Chi for Health program/s and allowed to use the Institute’s logo, its and Dr Lam’s name. A: Once you have completed your training or update workshop with Dr Lam or one of his authorised Master Trainers you will be entitled to register. An invitation with payment instructions will be sent to you by the Board. If you have not received your invitation two weeks after your training workshop, please contact your Master Trainer, and if not successful, contact the Institute via service@tchi.org (with all relevant information including the date of training, the master trainer’s name, country and a copy of your training completion certificate). Q Why Become A Board Certified Instructor? A: It is required that you pay the registration fee as a Board Certified member in order to be licensed to teach the Tai Chi for Health program(s). Even though you have completed the Instructor/Leader’s course and received your completion certificate, you are not yet licensed to teach until you register with the Board. Once register as a Board Certified Instructor you are entitled to use Dr. Lam and the Tai Chi for Health Institute’s name and logo for teaching its programs, and to many other benefits. Board Certified will align the Institute with similar professional bodies to provide recognition with an internationally respected qualification. It is vital to maintains the integrity and the quality of the Tai Chi for Health programs, including our standing with the Centers for Disease Control and Prevention, National Council On Ageing, Arthritis Foundations, many health departments and other supporting bodies. Be listed online with all other current Board Certified instructors at the Tai Chi for Health Institute website Only currently Board Certified instructors are listed. On application and agreement to the conditions, you can use the Institute’s official logo, brochure, business card and banner for promoting your class. Contact us at service@tchi.org for more information. Belonging to a global organization supported worldwide for its quality of training on teaching the evidenced based programs. Comprehensive training material is available and all levels of instructors have intensive training. More than 35 published medical studies have shown the health improving effects of the Tai Chi for Health programs. The Tai Chi for Arthritis program is recommended by the Centers for Disease Control and Prevention (www.cdc.gov) for fall prevention. Health departments and many Arthritis Foundations around the world support the Institute. 5-10% discount on selected workshops by Dr Lam and his authorized Master Trainers. Authorized to use the Tai Chi for Health Institute logo for promotion and business cards, you must be currently registered and adhere to the Code of Ethics. Full instructions will be given on registration. Use of workshop brochures, presentation PPT and materials provided by the Institute to promote your class/es. Ability to enter and edit your profile online at the Tai Chi for Health Institute website to post your photo, class/es, time and any relevant training and experience. These will be searchable through the internet. The Institute’s website is visited daily by thousands. Receive a digital certificate that can be forward to anyone who needs proof of your teaching qualification. An indication that you are supporting your institute and its purpose to empower people to improve their health and wellness. A: For all existing instructors including Premier Instructor, MTs and STs, your profile will still be online and benefits available until the first program needs an update. Reminders will be sent automatically 6 and 3 months prior. At that point you will be invited to register. A: Instructor/leaders are required to renew their certification every two years in order to update your skills and knowledge of the program. You can attend an update workshops run by Dr Lam or one of his Master Trainers. Available update workshops are listed on this website at the workshop calendar. Many training workshops include updates provided it is arranged in advance and you need to complete a written assignment beforehand. Update is also available by correspondence for instructors who cannot not attend a workshop because of extreme circumstances. As with all health and exercise professionals, updates are necessarily to maintain and improve skill and knowledge. There would be new studies, development and practice emerging to improve your teaching and tai chi skill. It is also an excellent time to share experience and connect with other members of the Tai Chi for Health vision. We are proud that our programs are supported by many organisations worldwide, including the Centers for Disease Control and Prevention (www.cdc.org), the National Council on Aging and arthritis foundations and many organisations around world. The quality of our programs and instructors are the reason for this level of support. Updating is a necessary part to maintain our professional status. Our standards and educational programs are constantly monitored and improved. Those instructors who allow the qualification to lapse are not authorised to use Dr Lam and the Institute’s name in their advertising. A: One registration fee will cover all programs you have been trained to teach for one year. For example, if you are trained to teach Tai Chi for Arthritis, Tai Chi for Energy and Tai Chi for Diabetes, you will only be required to pay one annual registration fee. A: When it is due you will be sent information on how to pay. You can visit this link for helpful information. A: TCHI fees have always been charged in AU dollars. When you make the payment it will automatically be converted to your local currency. Paying anything by credit card on line generally incurs a small fee when you are not paying in your local currency. If in doubt please contact your credit card provider. A: A Premier Board certified instructor is the same as a Board certified instructor except for three things. Firstly, Premier instructors will be entitled to a 15% discount on any purchase of instructional material (DVDs, Charts, Books and CDs) from Tai Chi Productions, and a 35% discount for orders exceeding $200 after the discount has been applied. Secondly, your name on the online list would be more prominent with BOLD text. Lastly and more importantly, indicating your strong support for the Institute. A: Upon your invitation to become a Board certified instructor, you will have this option by paying an extra $20 at the time of registration. A: You will continue to be listed as a Premier instructor until the tenancy runs out in one year, then you would be invited to become a Premier Board certified instructor. A: Yes. You will receive the special certificate with the embossed Tai Chi for Health logo as the certification of your successful training. A: The Board certification is your license to use the title Dr Paul Lam’s Tai Chi for Health program/s, and to prove that you have been trained, meet the Board’s standards and are qualified to teach the program/s. Many governmental and funding bodies require proof of an appropriate qualification to teach tai chi. Tai Chi for Health programs are backed by medical evidence. The Institute ensures all our Board certified instructors are well trained and qualified to teach these programs safely and effective, they are recognized and respected worldwide. Your participants can be reassured that they are in good hands. A: From 1st May 2016, please see answer above if you have been certified from 30th April 2014. A: CEUs are related to the attendance of the training workshop. They are awarded by an outside body and will not be affected. A: Tai Chi Productions was created by Dr Lam to produce useful tai chi learning materials. Its purpose is to empower people to improve their health and wellness through the programs and learning materials. See the first answer above for TCHI.